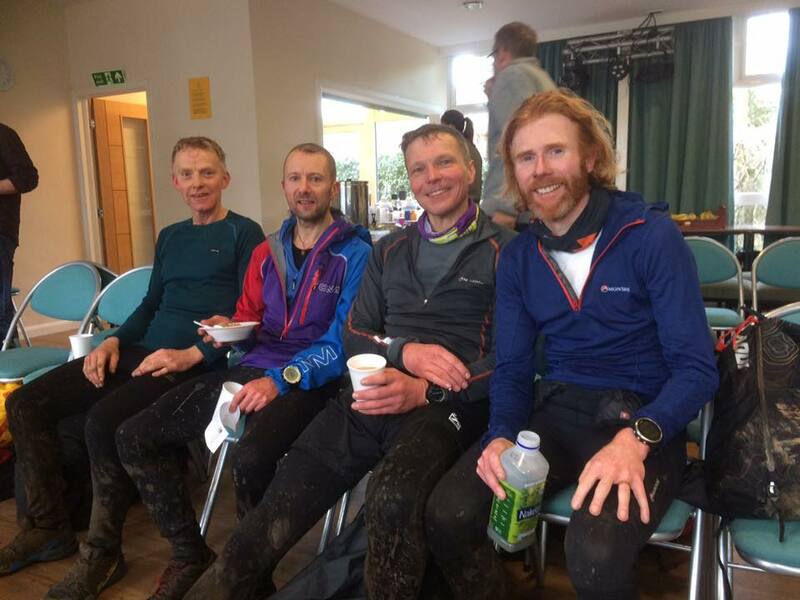 High Peak Marathon – what kit and why. 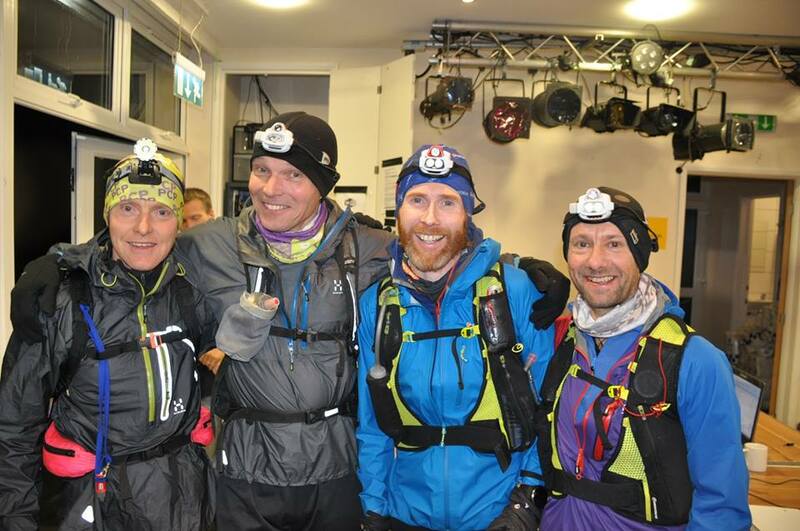 The High Peak Marathon is a 42 mile fell race done in teams of four, overnight, in winter and covers some of the boggiest, pathless and most remote parts of the Peak District. 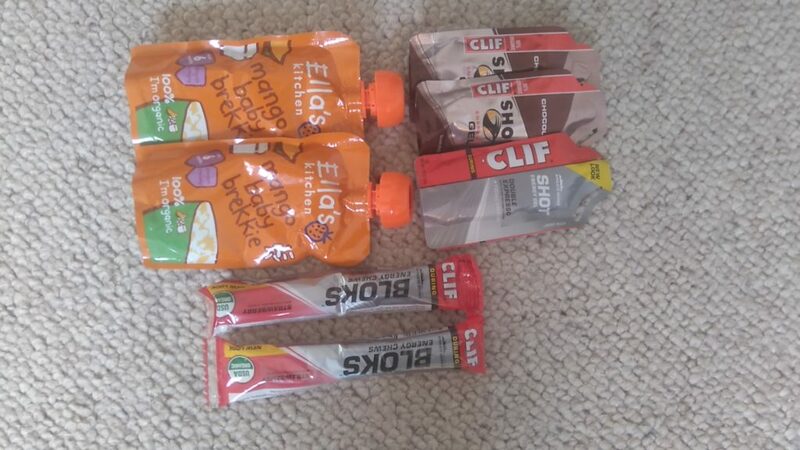 In addition to the usual personal kit required for a long, winter fell race there is a certain amount of mandatory kit that must be carried by each team. This is what I wore, carried and ate on this year’s event with some reflections on whether it was the right choice or not. 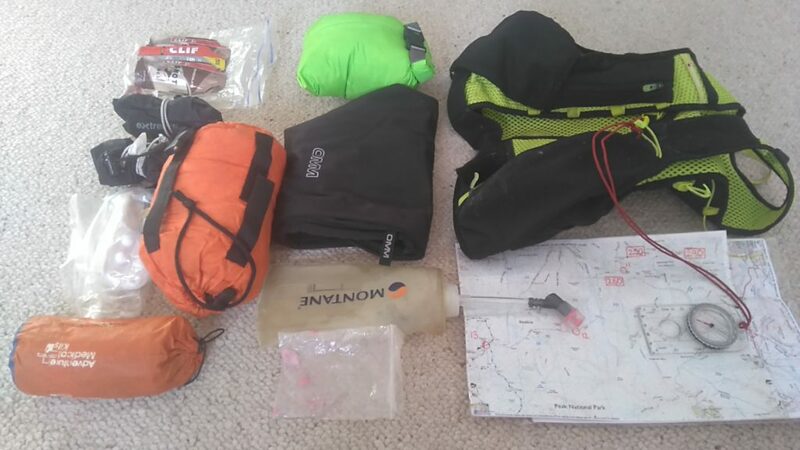 My pack was always going to be a Montane but I couldn’t decide between the old style Jaws 10 litre with rigid bottles or the new Via series Fang 5 litre with soft flasks. After much packing, unpacking and repacking I opted for the Fang. With more pockets than the old Jaws the Fang actually takes almost as much kit despite its smaller size. It was important that I had easy access to certain things whilst on the run and it was this that finally swayed my choice. My compass needed to be close to hand so went in the top front mesh pocket with its lanyard attached to the pack so that I wouldn’t lose or break it in the inevitable event of a trip or tumble. It was easy to reach when needed and also importantly easy to put away again when not required rather than constantly running with it in my hand. Maps likewise needed to be close to hand but not needed until the Bleaklow section. These easily fitted into the lower front zipped pocket. The lower front mesh pocket held a 500ml soft flask with a straw which allowed me to drink on the move rather than have to take out the flask and faff around trying to put it back in the pocket. 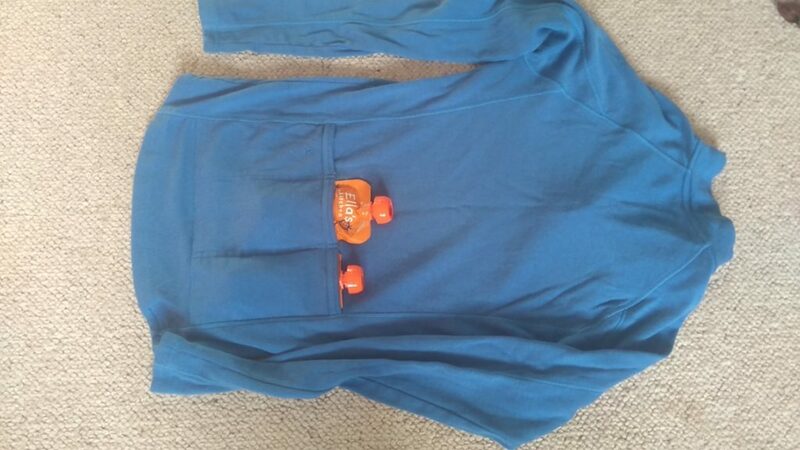 Also in this pocket was a small ziplock bag with 2 electrolyte tablets for refills at the two food stations. The smaller, top front zipped pocket had three gels. 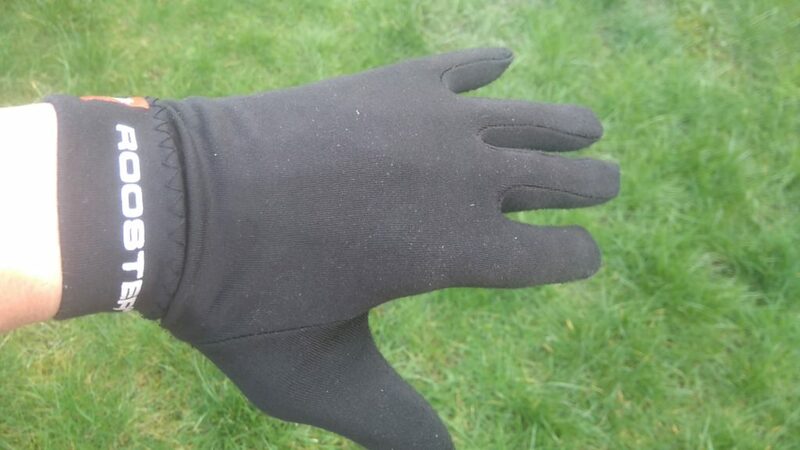 One side mesh pocket held my Shot Bloks whilst the other had my GoreTex overmitts in and I used to stash my gloves when my hands got too hot and at the food stations. The main rear compartment contained kit that I was less likely to need i.e. my waterproof trousers, group shelter and emergency primaloft smock whilst the smaller rear zipped pocket held my personal survival bag. It had been raining for most of the day and was still doing so an hour before we started. It was also forecast for more rain overnight so even though it was dry at the start I set off wearing my waterproof jacket, the OMM Kamleika Smock. I do have lighter, more compact waterproof jackets such as the Montane Minimus and Alpkit Gravitas but I feel the Kamleika is a little bit more robust and likely to withstand being worn underneath a pack. I also carried Kamleika waterproof trousers which weren’t needed. I chose a thin merino wool short sleeved tee shirt under a thicker, long sleeved merino wool cycling top. I specifically chose the top for its rear pockets in which I carried some food and also the zip which would allow me to cool off if it got too warm. My leggings were a cheap pair of medium thickness tights. I have thicker and thinner pairs but these seemed just right. I wore a buff around my neck – really versatile to pull up over your face if the weather gets nasty and a windproof beanie as a hat. In my pack I carried an OMM Rotor Smock Primaloft top as an extra, emergency layer. 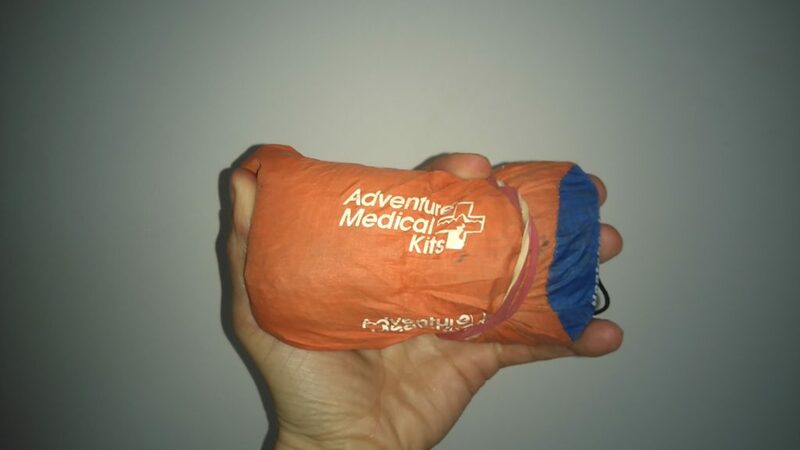 This was compressed down and carried in a dry bag and wasn’t used. I chose knee length compression socks which offer great protection against the cold, and to some extent against the knee deep immersion into the peat bogs that was to come. Over these I wore 3mm neoprene socks made by Rooster Sailing. I have recently converted to these from Sealskinz. Extreme grip over such boggy terrain was essential so the first thought was to wear Inov-8 Mudclaws. 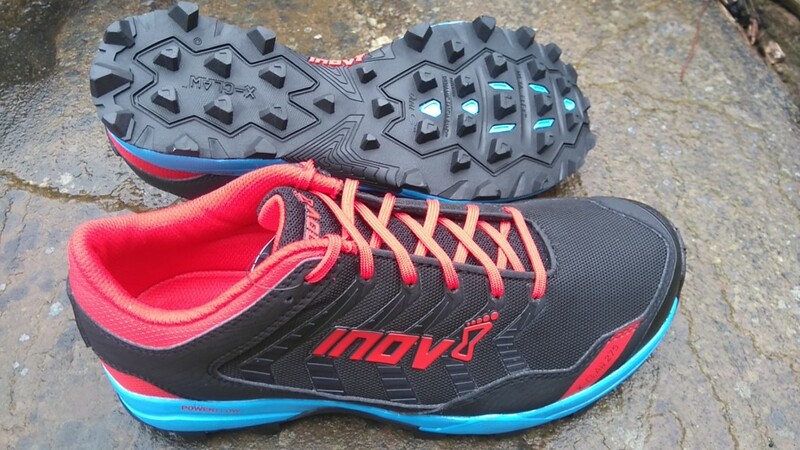 However I’ve also got a pair of Inov-8 X-Claw 275s which offer almost the same grip as the Mudclaw but have a bit more room and a bit more cushioning. This made them the ideal choice to accommodate the 3mm neoprene socks and the long sections of flag stones. I wore a pair of Rooster Sailing liner gloves and carried a pair of Tuff Bags Goretex mitts. My main torch was a Petzl Nao, programmed to give 8 hours light on reactive mode. 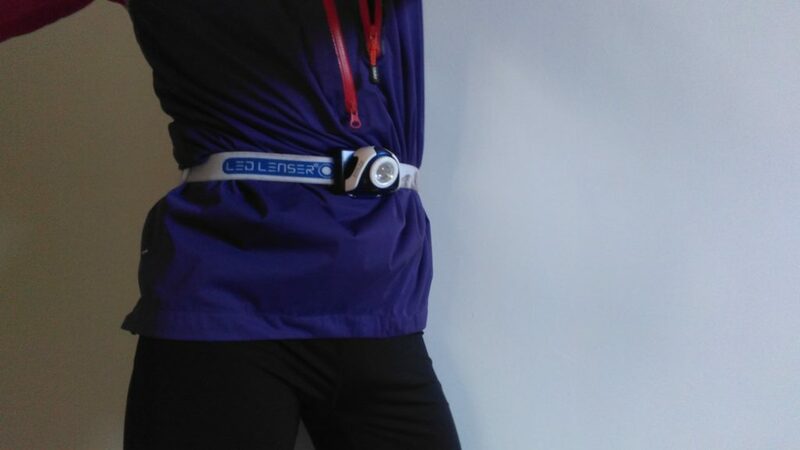 I also carried a second torch, a LED Lenser SEO 7R worn around my waist (I’m thin!) I do this in foggy conditions as it illuminates the ground much better than a head torch as the light source is closer to the ground and you don’t get the bounce back effect off the fog. It saves carrying a hand torch, leaving your hands free to do important things like hold the map and compass. err Dave, it’s meant to go on your head! I used laminated sections of the 1:25,000 map (printed from Anquet software) with checkpoints and route notes annotated on them and a Silva Ranger compass. 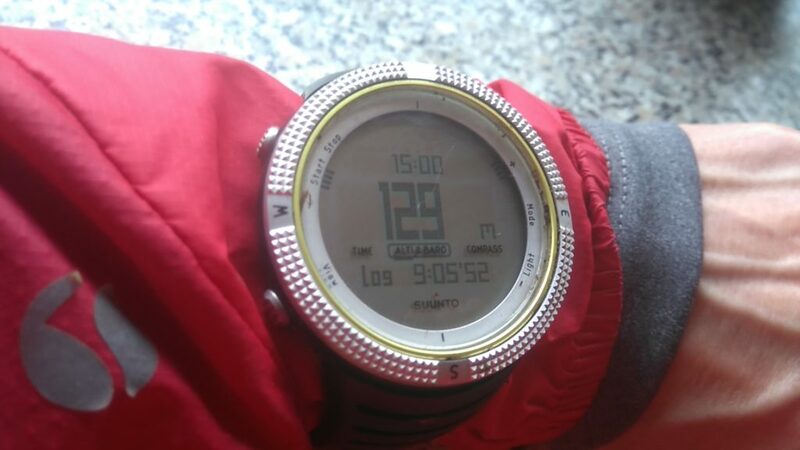 I wore a Suunto Core watch with altimeter. This is a non GPS watch so there was no way of using it to aid navigation other than by knowing our altitude and time running. I calibrated the altimeter at Edale and also checked it against a known height at Swain’s Head. I knew how long we should run past Swain’s Head before turning south and also at what elevation to exit Far Black Clough. I carried an Adventure Medical Kits / SOL emergency bag as my personal kit and a 4 person group shelter as the team emergency kit. Other members carried a Blizzard Bag and small first aid kit. I also carried 3 spare AAA batteries, some Ibuprofen tablets and a few sheets of toilet roll – none of which were needed thankfully! I started with 250ml of electrolyte drink and refilled 500ml at both Moscar and Snake. I also gulped a cup of juice at each feed station and had a few quick sips of tea at Snake. The pack was definitely the right choice. Four front pockets plus two accessible side pockets meant that I could reach everything that I wanted and stow any kit that I didn’t need in my hands. It didn’t bounce and always felt comfortable. Being able to drink whilst still running without really breaking stride was really beneficial. I was a bit disappointed with the Petzl Nao. I had fully charged the (fairly new) battery and programmed the reactive setting to give 8 hours power, however crossing Bleaklow I got the dreaded “flash, flash” warning and a couple of minutes later the Nao dimmed to emergency mode. It had only lasted 6 hours (not bad in itself but still 2 hours short of what the computer software had told me to expect!) Thankfully it was approaching dawn and I also had my second torch. The waist torch definitely helped over the foggy sections as it meant I didn’t need to carry a hand torch so still had hands free for the map and compass. Of the food I took I ate everything apart from half a packet of Shot Bloks and one gel; I was looking forward to the stew at the end though! I did feel thirsty at some points but not enough to warrant taking a second soft flask. So nothing major that I’d change, maybe just a few tweaks for next time – but then the weather might be completely different next year. Posted in Blog, Equipment, Fell running and tagged High Peak Marathon, inov-8, Montane, OMM Kamleika, OMM Rotor smock, Petzl Nao, Rooster. And agreed, those shoes are excellent. True John, but if it Petzl claim it will give you 8 hrs in Reactive mode then it should be somewhere close – that’s one of their unique selling points! I noticed it dimming down when running behind others, when looking at my compass and when in the clag (which there was a fair bit of) so it’s not as if I was staring into the distance with it on high power all night! I also spoke to 2 others on the race with Naos who had the same experience. It’s a great torch otherwise. Just treated myself to the new NAO+ on the basis of the claimed 300-odd lumens for 16 hours being ideal for two-night ultras. Early indications from testing are that it’ll get nowhere near 16 hours of usable light. Disappointing. Cheers, glad it was useful. Interesting to hear about the new Nao+ battery life. It seems that there were quite a few Naos that didn’t perform as well as expected.